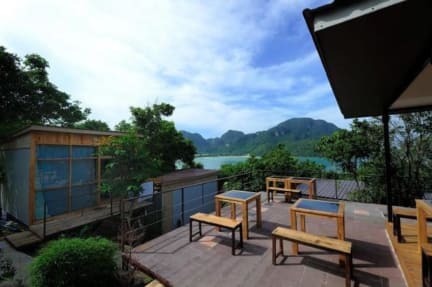 Phi Phi Sea Sky Resort is a Thai Modern style resort, nestled on the tropical hillside. This elegant accommodation is an ideal place to spend a relaxed and rejuvenating holiday. Known for its high standard and hospitality, this modern accommodation features garden view or sea views guestrooms each designed in an elegant, yet traditional Thai modern style. Exciting day trips to neighbouring islands can be arranged at the tour desk. Guests may relax with a massage or spend an afternoon snorkelling in the ocean.